AEsol-M500 has extremely long service life and compact volume, and could support multiple connected and remote monitor to each modules, convenient management. No afraid of shadow, it could greatly improve overall power station generation efficiency, let you own the highest return. 2 MPPT design,Tracking accurate up to 99.9% can make AEsol-20k-TL series inverters work more flexible and effective. All rooftop modules areas could be used for generating , it also could minimize the capacity consumption due to shade hiding. Max. efficiency is up to 98.2%, Euro efficiency 97.8%, which means more transmission power than others solar device. 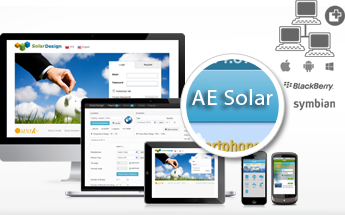 AEsol photovoltaic inverter is your most wise choice. i-ENERTECH new energy is founded by Germany Doctor, composed of home and abroad outstanding elite. 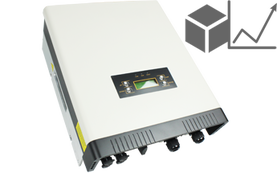 Under the German management system, AE Solar inverter is featured by high efficiency, High quality, high reliability, complying with the VDE 0126-1-1, RD1699, EN5, C10/11, G83/2, UTE C15-712-1, AS4777, CQC, CEI 0-21, etc. qualification, product repair rate is less than 1%. Due to the high products standard, warranty time could extend to maximum 25 years from regulated 5 years. 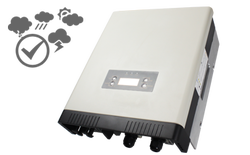 i-ENERTECH inverter high quality casing can provide the best protection for insider electronic components, Besides, by IP65 protection, it can be installed and run safely in the indoor and outdoor. Not afraid of any bad environment, it always creates a best working condition for you. Wifi cards inside setting is the the first Invention of the world, and power management box could preserve all important record from sensor. 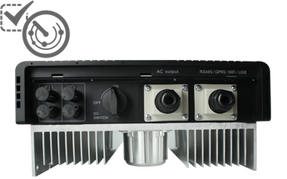 Each inverter are equipped with RS485, RS232, USB and Ethernet interface, wifi kit and GRPS Kits as your option. Through our free monitoring software to connect with your PC/ Mobile, you can view the PV station output data and pubic grid power supply. 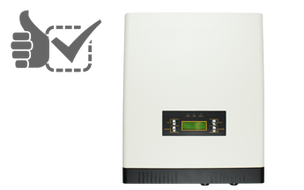 Each i-ENERTECH inverter have exquisite graphic display, which will show all the relevant information and settings within 24h (Regardless of the inverter operation or shutdown). Even after sunset, you could also check the device data and feel comfortable to use it by the user interface and visual display. The Characters of AEsol-2k-TL series inverters are exquisite, portable and small. 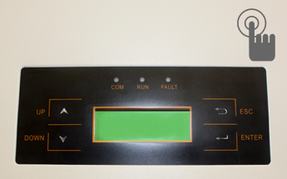 The Plug-in system integration make it easy for installations. 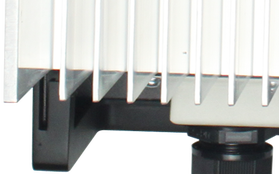 The fillister of AE Solar inverter with human body engineering design make it easy to pick up, internal rail make it easy to mount with the wall. User Service first, if device malfunction happened, it will be automatically feedback to us through our monitor software, or you can call us anytime, and we will help to find the fault. If the problem is the device itself, we will immediately replace the device. Besides, we offer free training and free “solar design” software to our cooperative partners to make them learn intelligent PV installation design. 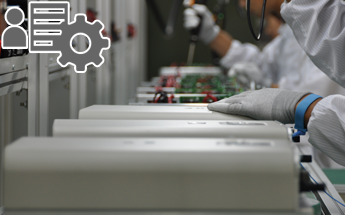 Relying on our strong R&D department and professional technical teams, we can tailor any inverter according to your requirements. Choice any type among 200W~20000W, we will provide you the best design solution for you PV projects.